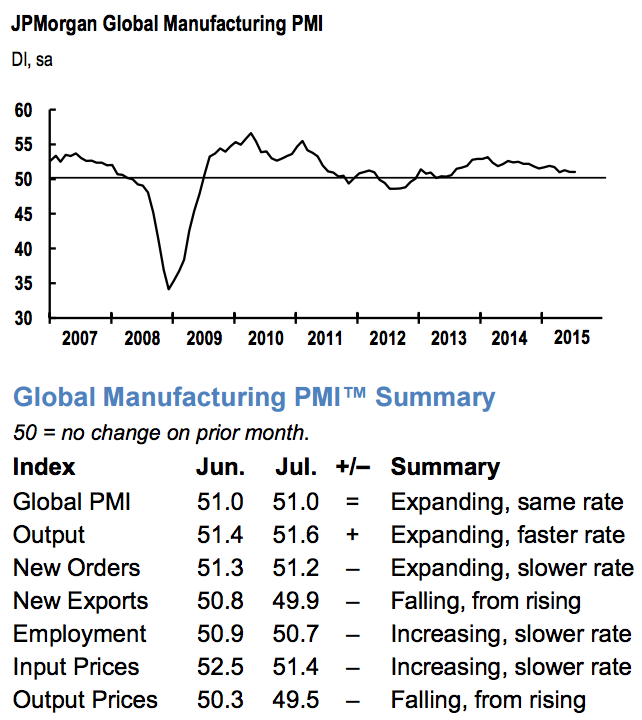 Global Manufacturing PMI was unchanged in July compared to June at 51.0, signalling weak growth and stalled growth momentum. 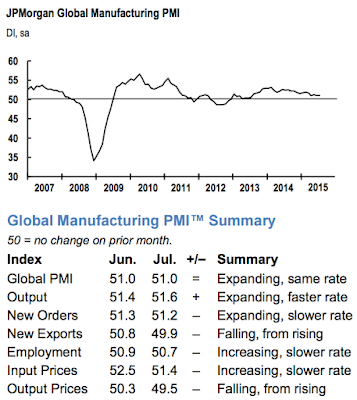 Overall, activity is now at "its joint-weakest reading during the past two years". Per Markit: "Underpinning the increase in output was further growth in new order inflows. However, the pace of improvement in new business slowed as new export orders declined for the second time in the past three months. New export business decreased in China, Germany, France, the UK, Taiwan, South Korea, Greece, Turkey, Indonesia, Vietnam, Russia and Brazil, and was little-changed in the US and Malaysia."